It’s a term that has received a lot of attention as of late, despite being something many police departments throughout the country have practiced for decades. Defined as “the system of allocating police officers to particular areas so that they become familiar with local inhabitants,” community-based policing is more than an idea. It is a set of values that center on a commitment to working cooperatively with members of a community, as well as organizations both public and private, to identify issues that affect the livability of specific areas and thus, the community as a whole. Resolving a dispute between neighbors. Patrolling the streets to make sure school-aged children are in class. Getting to know local business owners and any neighborhood-related issues they may be dealing with. These are all examples of what could be considered community-based policing activities because they directly impact the livability of the community itself. The primary division of labor for the police is geographical. Officers identify with their area of assignment, rather than the work shift or functional division. Commanders are assigned to geographical areas and given wide latitude to deploy their personnel and resources within that area. Individual officers adopt even smaller geographical areas and feel a sense of ownership for that area. Officers commonly know many of the people who live and work in this area, and are intimately familiar with the area's geography, businesses, schools, and churches. Officers seek out detailed information about police incidents which have occurred in their area of assignment during their off-duty time. 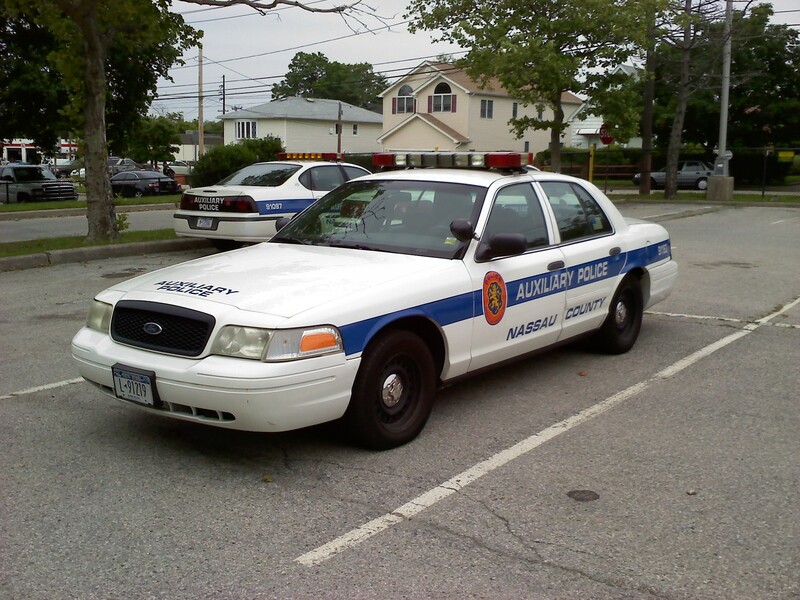 Officers can expect to work in the same geographical area for many years. Officers' preferences for areas are considered in making assignments. Rotation of geographical assignments is rare. The organization values the expertise and familiarity that comes with long-term assignment to the same area. Most operational decisions are decentralized to the level of execution. Field officers are given broad discretion to manage their own uncommitted time. Operational policies are concise, and serve as general guidelines for professional practice more than detailed rules and regulations. First line supervisors are heavily involved in decisions that are ordinarily reserved for command ranks in traditional police departments. The police department employs techniques to manage its workload in order to make blocks of time available for police officers to address identified problems. The police response to an emerging problem typically involves significant input and participation from outside the department. The department routinely uses a range of tactics other than responding to individual incidents, such as: targeted saturation patrol, bicycle and foot patrol, undercover/plainclothes/decoy/surveillance operations, educational presentations, coordination of efforts with other government or human service agencies, support to volunteer efforts, initiation of legislative proposals, and so forth. For departments looking to transition to a community-based approach, GPS tracking technology can be extremely valuable to the overall success of such an initiative. For example, GPS tracking from Synovia Solutions allows departments to pinpoint the real-time location of officers’ vehicles. This is key for a variety of reasons. For example, you’ll know which officers are closest to a specific location, helping to ensure a police presence exists where it is needed most, even in non-emergency situations. So if a batch of vehicle thefts have occurred recently on a particular street, you’ll be able to determine immediately if that area is being patrolled and have the knowledge to correct the situation if necessary. GPS tracking can also help departments practicing community-based policing methods to ensure officers are frequenting and within their assigned beat or neighborhood. Since so much of the success of community-based policing relies on law enforcement getting to know the people and dynamics of their assigned patrol area, it is important to make sure officers are where they should be at all times. What’s more, GPS tracking gives department leadership the ability to prove that officers are patrolling particular areas, helping to build confidence among those who feel the police presence in their area has been lacking. Furthermore, community-based policing relies on “decentralized decision making.” Field officers are given broad discretion to manage their own uncommitted time, making it difficult for commanding officers to know the exact whereabouts of every personnel member at any given time. Fortunately, GPS tracking technology ensures you will always know the location of every squad car in your fleet, even if the officer or officers assigned to it haven’t called in for hours. Because community-based policing requires individual officers to become intricately familiar with their assigned beats, personnel may interact with those in their neighborhoods on their own. With Synovia Solutions, all vehicles equipped with GPS tracking feature an emergency button that calls for backup while broadcasting that vehicle's precise location. And when a vehicle's lights and sirens are activated, the tracker automatically emits location data every 10 seconds, providing you with more granular information in emergency situations. GPS tracking can also help police departments make a better impression on the community as a whole, independent of community-based policing methods. GPS tracking technology from Synovia Solutions delivers detailed information on vehicle mileage and usage hours, helping you to keep your fleet running strong, which saves local taxpayers thousands as it relates to repairing and/or replacing city vehicles. What’s more, GPS tracking also monitors speeding and idling so that officers can be trained on better driving habits, which saves taxpayer dollars while protecting the safety of officers and citizens alike. GPS tracking can be used to track items such as “bait cars,” which are often set up in areas where auto theft is prevalent. When the vehicle is turned on, GPS tracking will activate, your department will be notified and officers will have the ability to identify the speed and location of the stolen property. Recent years have seen public safety agencies worldwide adopt several new technologies in an effort to stay ahead of threats that exist in today’s ever-changing digital world. At the same time, departments are utilizing existing technology in new ways in order to better communicate with and inform the public. This proactive approach is leading to partnerships that both agencies and community members find mutually beneficial. To help you examine the many ways your agency can more effectively use technology to further the creation of safer, more cohesive communities, we’ve compiled a list of tools – some proven and available, some untested and on the way – with the potential to serve as valuable assets for public safety agencies. CrimePad enables law enforcement officers to record, track, maintain, collaborate and report on all data within a criminal investigation or crime scene. USPDHub is a community outreach app designed to facilitate current and critical two-way communication between public safety officials and community members. PulsePoint Respond immediately alerts CPR-trained bystanders in the event of a nearby cardiac emergency so that CPR may be performed as quickly as possible. In the age of “big data,” public safety departments are working to utilize the massive amount of information collected on a daily basis to create crime and disaster maps. These maps present officials with a high-level view of variables such as where and when certain crimes are occurring. What’s more, mapping makes it easier for law enforcement agencies to deliver community members with easy-to-understand information so that citizens are not only more aware, but have the ability to be more proactive in preventing future incidents. Cities such as Camden, New Jersey and Oakland, California have implemented interactive crime mapping programs like CopLogic that allow for web-based citizen incident reporting. Some mapping technologies even allow victims of non-violent or non-emergency crimes to submit reports online, freeing up officers to respond to life-threatening situations. The subject of multiple headlines in recent months, wearable video recording devices are being implemented by police departments both large and small to provide an extra level of protection to both officers and civilians. Also known as “body cameras,” wearable video recording devices are a way for law enforcement agencies to increase accountability in an age where full transparency is an ever-present demand. What are now staples of the modern American home are increasingly being seen as valuable tools by public safety officials nationwide. These mobile devices, which often appear in a more rugged form than versions used by everyday consumers, are designed to house several applications and allow access to information once inaccessible to officers out on patrol. Not only do these smart devices make everyday tasks much more efficient, many are capable of being used for video surveillance, dispatch and license plate recognition. 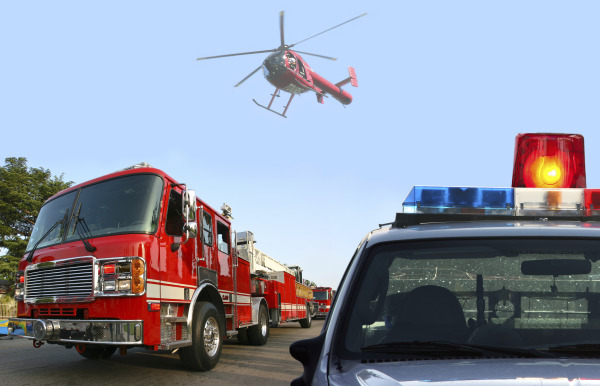 GPS tracking technology is quickly gaining traction among public safety organizations for its ability to enhance the safety of officers and emergency crews, lower operating costs and shorten response times. GPS tracking technology can perform a multitude of tasks, from instantly locating personnel to sending an alert whenever a vehicle emits an engine fault code, helping to avoid costly repairs. GPS tracking can even monitor driver behavior and verify whether or not a specific area or route is being covered, helping to support a department’s utilization of crime mapping data.